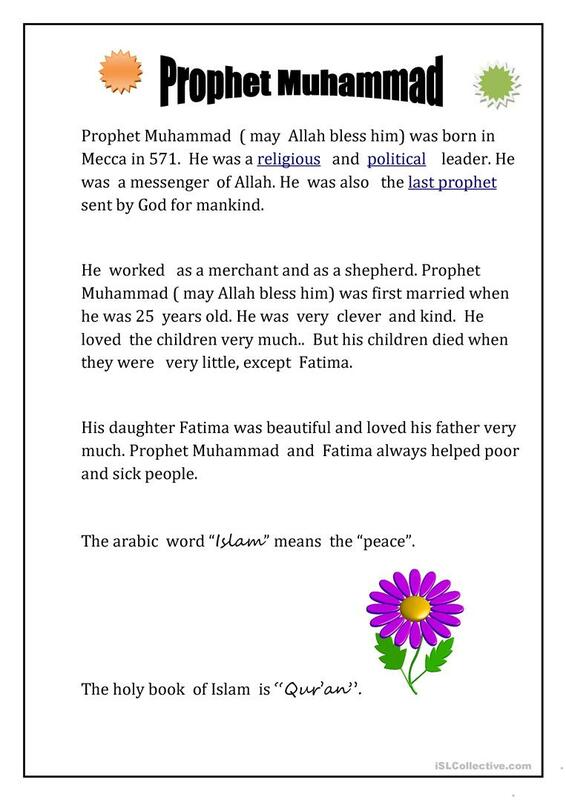 About islamic prophet and his life. The above downloadable printable is a great resource for elementary school students at Elementary (A1) level. It is a useful material for teaching BE (auxiliary verb) in English, and is a valuable material for developing your students' Reading skills. It is about the topic and words of People.